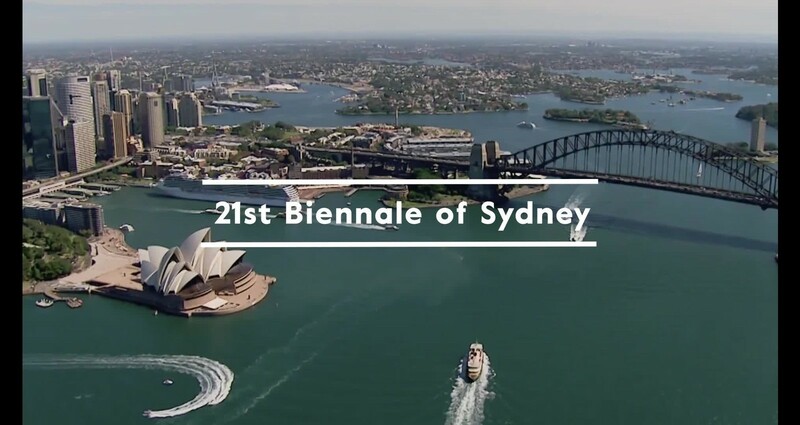 The Biennale of Sydney is recognized as one of Australia’s premier cultural events. 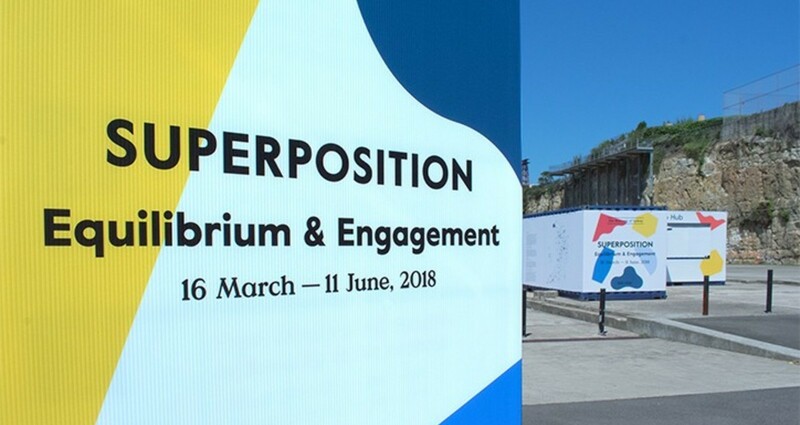 Held every two years, the three-month-long exhibition is accompanied by a program of artist talks, forums, guided tours and special events, nearly all of which are free to the public. 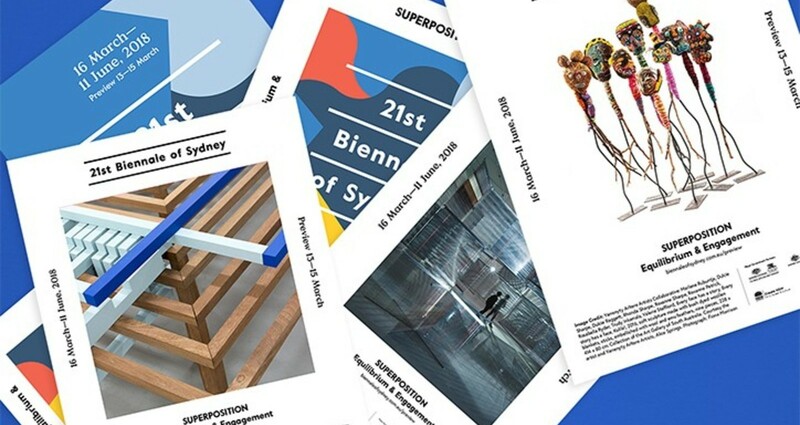 Our studio was commissioned to create an identity system for the The 21st Biennale of Sydney. 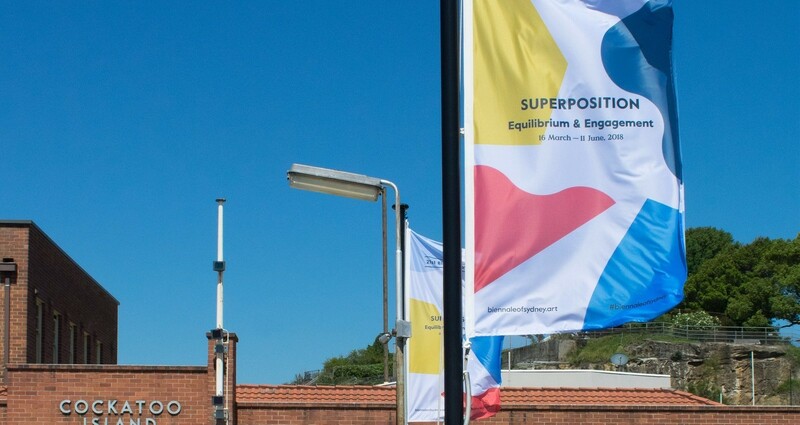 The theme of the 21st Biennale of Sydney was "Superposition: Equilibrium and Engagement". 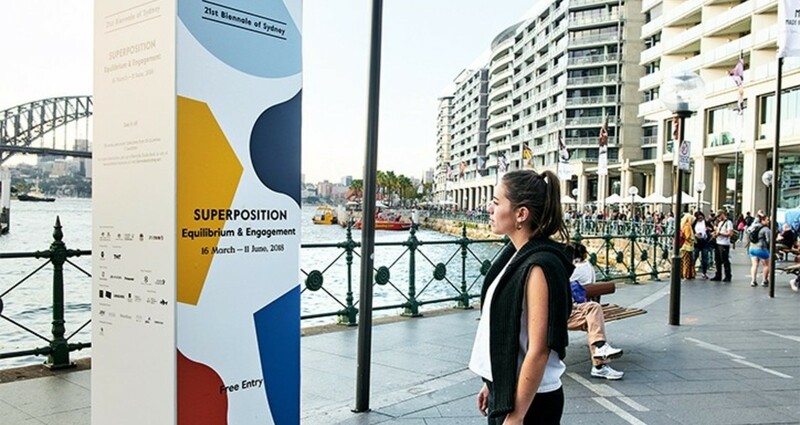 Curator Mami Kataoka envisioned incorporating the abstract concept of superposition (a term borrowed from quantum physics) with the Chinese philosophy of Wu Xing. 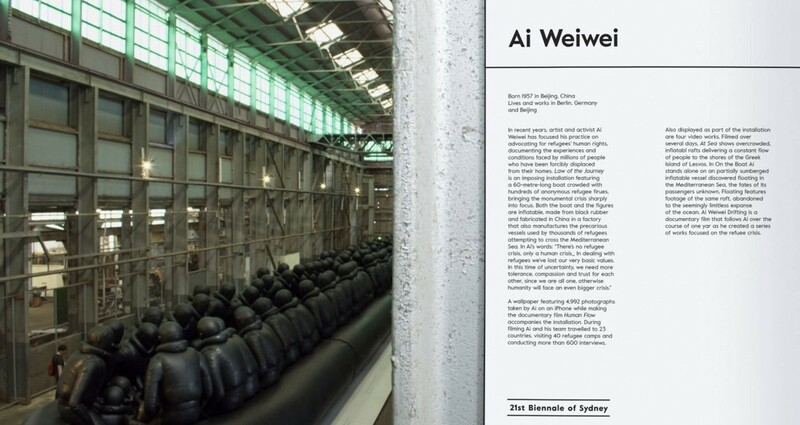 Wu Xing is comprised of five phases found in nature Wood, Fire, Earth, Metal, Water – each represented by a unique shape and color, and used to describe the constant cycle of creation and destruction – all states of being existing simultaneously, in equilibrium. 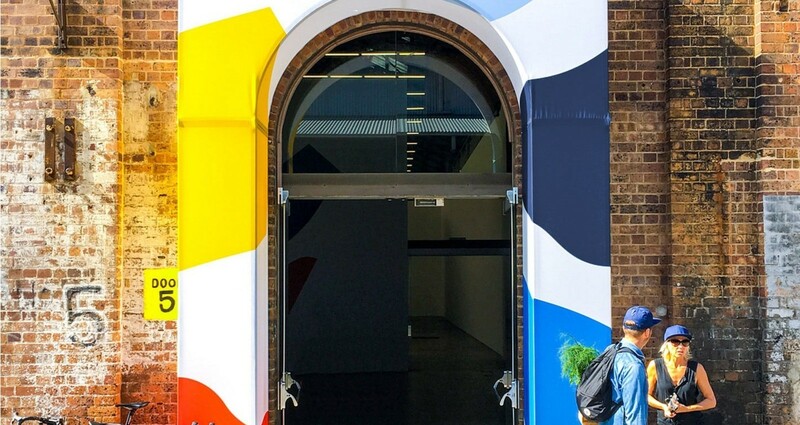 Our goal was to merge this complex concept and philosophy into an accessible identity system that was also flexible enough to be used across a multitude of platforms. 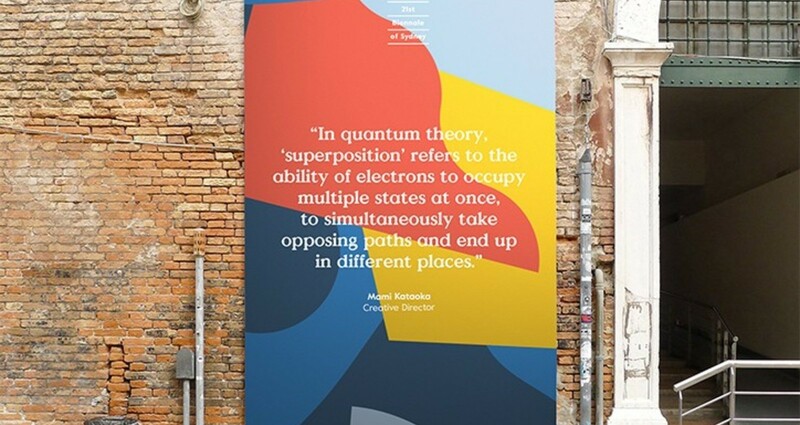 This modular system allowed for expansion and contraction where needed; it is “fluid, amorphic, and ever-changing” representing superposition, and “adhering to the sequence of the cycle” as defined by Wu Xing philosophy. 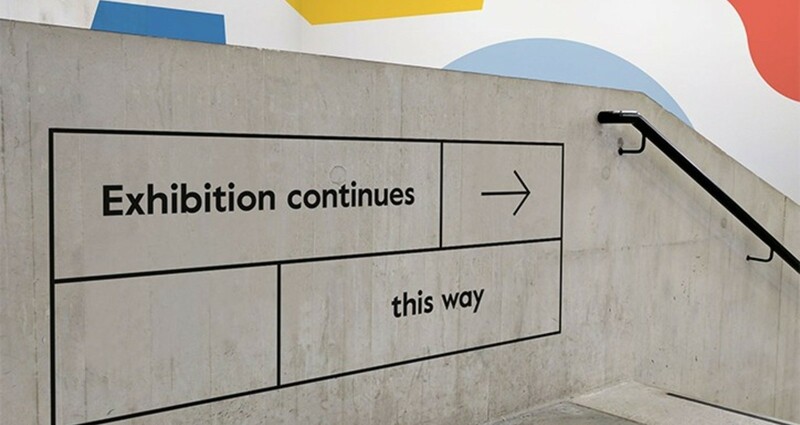 Animated, abstracted, layered or dispersed forms float around or connect to each other, and orbit the content comprised of works of art, way finding signage, digital guides and other information that needs to be clearly communicated. 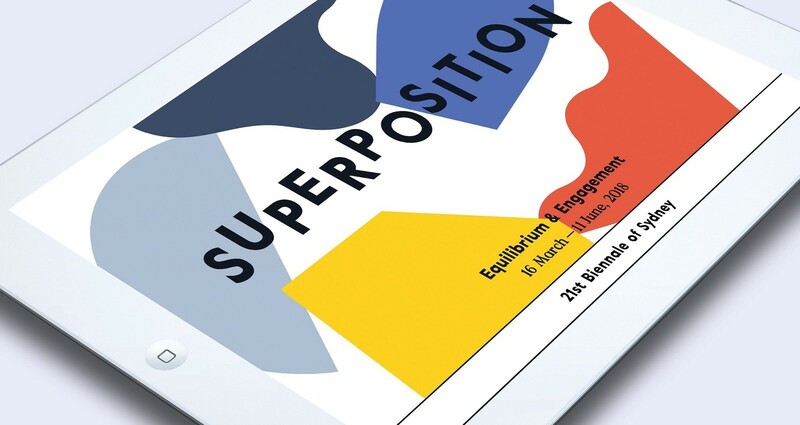 Our challenge was to build an identity system that both illustrated the abstract curatorial theme of “Superposition: Equilibrium and Engagement” and make this theme accessible to a wide public audience. 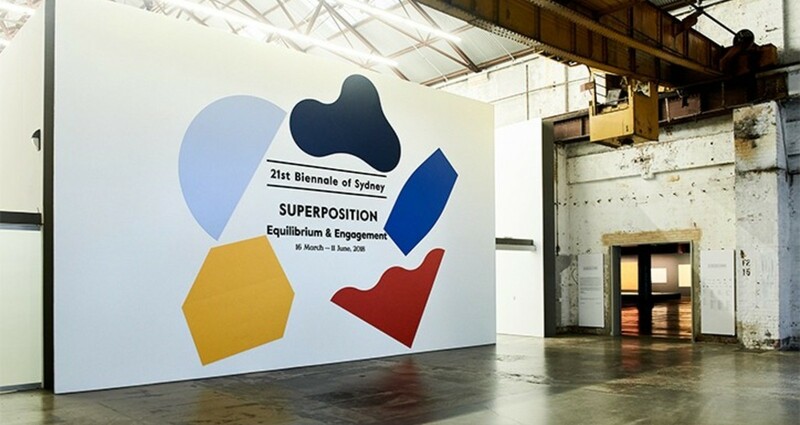 The biennale exhibits across seven venues in Sydney over the course of two months, as such, the identity system needed to be flexible enough to accommodate an ever–evolving variety of environmental, print and digital applications, whether they be flags, gifs, t–shirts, brochures, billboards, or museum vinyl.